The First RESA ACCREDITED TRAINING COMPANY! Make sure you choose your training wisely! HSR believes that having the "eye for design" necessary for staging a home to sell is not something that can be taught in a three-day home staging training class. You either "have it" or you don't. Our members "have it" and are people who have been formally or informally studying the interior decorating field all of their lives, have a passion and natural talent for transforming interiors, and are the "decorating gurus" for friends and family. Bring HSR your natural decorating talent and we'll show you how to make a successful business out of doing what you love AND are good at! 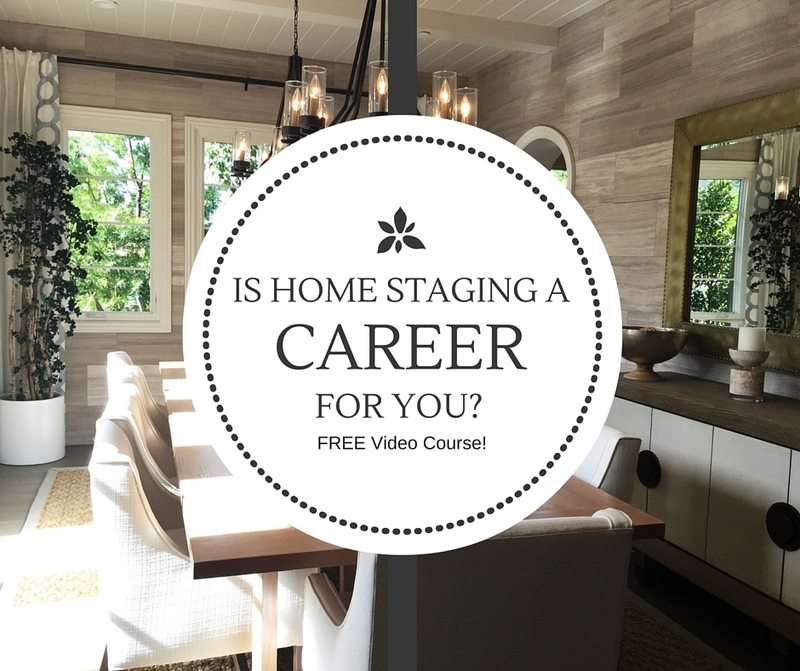 HSR gives you the tools, training and videos to refine your talents but MORE IMPORTANTLY gives you the products, services and knowledge to make your house staging business a SUCCESS. Our complete HSR Certification Program offers the most comprehensive A-Z Home Staging and Redesign Training in the industry! The training is comprised of a self paced, online, 21-day intensive training that uses live teleconference webinar sessions, on-demand videos, forms, step-by-step home staging training guides and visuals in order to get your business up and running quickly and professionally. We put our Members first in everything we do because we want YOU to be successful! Our "Directory of Stagers" is all over our website in order to drive clients YOUR way on an ongoing basis. We honestly don't know how you could teach someone to start a successful home staging business in less then two weeks! There is A LOT to this business and we cover EVERYTHING from A-Z. See Members Area Video. We provide a FREE membership to the American Society of Home Stagers and Redesigners (http://www.ashsr.com/) when you join the Home Staging Resource. We also have an EXTENSIVE Members Forum where you can ask any question and receive immediate answers from others. We are your business partner and support you throughout the course of your membership (one year). We have toll free number and direct email to contact when you have ANY questions. We also "check-in" with you throughout the year to provide the latest news, advice, encouragement and support. Others make this claim but according to Alexa (http://www.alexa.com/), an independent traffic ranking company we blow doors on the competition! Most of our traffic is in the form of agents, sellers and builders searching our Directory looking for YOU. Our Members work together to enhance the industry and client deliverables because we believe in uniting the home staging industry. We have an extensive "Veteran Interview" and "Tales from the Trenches" section in our Members Area where Members learn and are encouraged by each other. While others may give you a "web page" on their site littered with their company information, we know it's CRITICAL for you to stand alone professionally and beautifully as a business. We make you look good by giving you a stand alone domain ie. www.yourcompany.com and website that is clean, professional and image conscious. See our Amazing Website Examples! We offer over 25 styles for you to INSTANTLY order business cards, post cards, letterhead, brochures, "Thank You" cards, magnetic car signs, etc. We want you to focus on building the success of your business, not spending hours in marketing/website creation mode. We provide over 100 FORMS in Word and five 10+page "Client Action Plans," so you are never "REINVENTING the wheel"
There is nothing worse then staring at a blank piece of paper as you prepare a letter, sales sheet, process, checklist or Client Action Plan! We provide you ALL the home staging specific forms, contracts, guides and PowerPoint products you will need for your business and then some. While others may provide generic, PDF forms at charge or no forms at all! We have over 100 vendors who offer our Members special discounts on their products and services. Our "Vendor Connect" program makes it easy for our Members to develop discounts and relationships with vendors nationwide because each member represents over 1000 others and has a direct line to our Vendor Connection program. Don't Wait! Get Your Home Staging Career Started Today!